Is it safe to drink raw water in Russia? Is spring water really healthier than bottled, and where can you find it in Russia? Ancient Slavs weren’t afforded the pleasure of bottled water such as Perrier or Vittel but still considered water a “pillar” of the earth, calling it "the Tsarina.” In folklore it was believed to be an inexhaustible source of life and any springs that formed following natural disasters were immediately praised as holy sites. Even after the spread of the Orthodox religion in Rus people still believed in the healing power of natural sources. Indeed, some natural sources of water enriched with salts and minerals have health benefits. But which kinds of raw water can you drink safely? 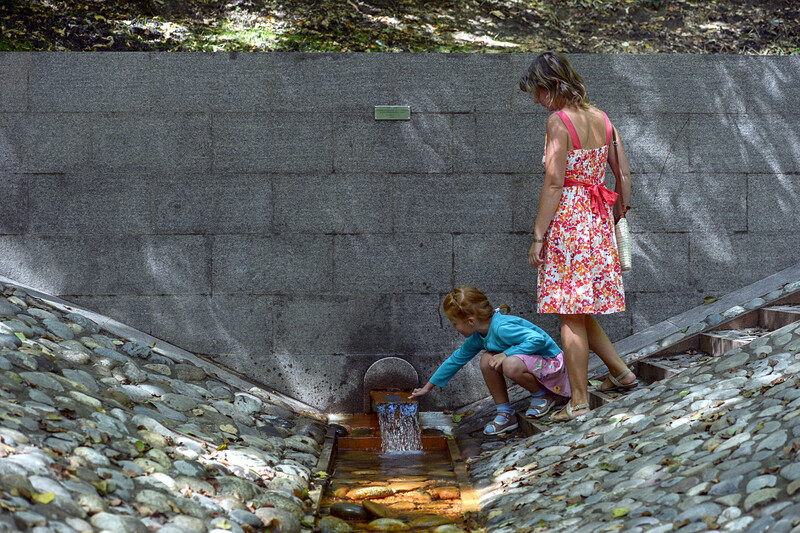 Visitors at a spring at the Vorobyovy Hills nature reserve in Moscow. There’s a popular idea that raw water is the most beneficial for the body, while any processing neutralizes the nutrients. But just drinking raw water is not the best idea. If you consume water from a lake or river you risk catching diseases as it’s purity cannot be guaranteed. You must only drink raw water from verified sources and springs. The majority of spring water is found at a fairly shallow depth, so it can be easily contaminated by industrial chemicals and pollutants. In many southern Russian cities, there are special pump rooms (buvettes) with clean raw drinking water. Such sources are regularly checked by experts for bacteria and viruses. Nevertheless, it’s always advised to boil such water or filter it before gulping it back. The shelf life of spring water at home is just a few days. In Russian folk medicine, there’s a popular recipe for something called “honey water” (1 tsp of honey for 1 cup of raw water). It’s believed that the drink strengthens the immune system. 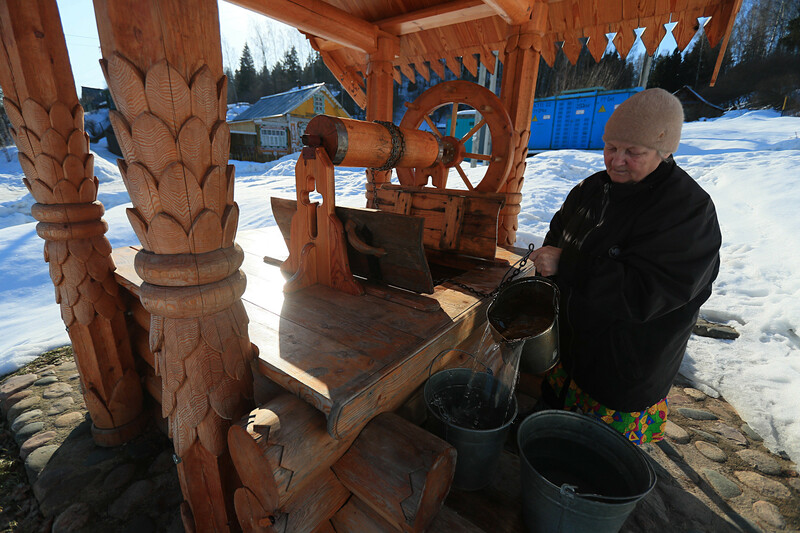 A woman takes water out of a well in the town of Plyos, Ivanovo Region. Artesian water flows underground at a depth ranging from 100 to 1000 meters. As a rule, artesian water tends to be clean as it does not comprise rainfall so avoids pollution. Artesian water gives you an energy boost for the whole day thanks to its rich mineral content. In Russia, a number of bottled water brands are produced from artesian springs. In addition, some Russians drill personal artesian wells next to their dachas. Despite the general purity of this water, many experts still recommend filtering it beforehand. Thawing of water is a really effective method of purification. Thawed water is credited with curative properties and is recommended for treating various diseases. The truth is that the freezing and thawing of water is a really effective method of purification. Have you ever seen how the water freezes? First, transparent ice appears on the edges. Water with impurities takes longer to freeze so the “dirty” ice gathers in the middle. The pure water appears faster when thawing - only this first-thawed water should be used to quench one’s thirst. 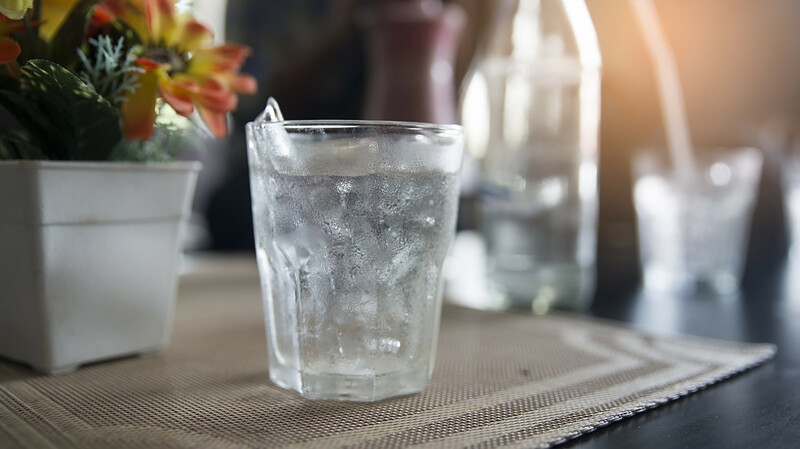 In Soviet times, scientists studied the properties of thawed water and drew attention to the fact that a person who drinks one to two glasses of this water every day is more likely to have a normal heart rate, good blood composition, and a regular metabolism. They also recommended it as a treatment for overweight people. What’s more, using it while washing the skin was also considered a good idea. Perhaps unsurprisingly there’s no serious medical research backing this up. By the way, thawed water loses its properties when heated above 37 degrees °C. The popular Russian resort of Kislovodsk. There are two large mineral sources in Russia: In the Caucasus and in Zabaikalsky Territory with numerous resorts around them. Here people not only drink water from specially equipped pump rooms but also use them to treat various diseases: Neurological, cardiovascular, skin diseases, metabolism disturbance, etc. Have you ever tried any of these popular Russian mineral water brands: Essentuki, Narzan, or Nagutskaya? Mineral water contains a high amount of salts and minerals, but it’s not recommended to drink it too much in order not to disturb the natural salt balance. Would you plunge into the icy water? Read the story of brave foreigners who did - and will do again! Is it safe to drink tap water in Russia?